eReaderJoy: thoughts and news from Eolake Stobblehouse about the wonderful new platform of tablets and e-reading devices. Some say, one of the biggest advances to reading since Gutenberg (Okay, I said that). In e-form, books have never been wider, cheaper or faster available, easier to understand, use, and carry, or more comfortable to read. 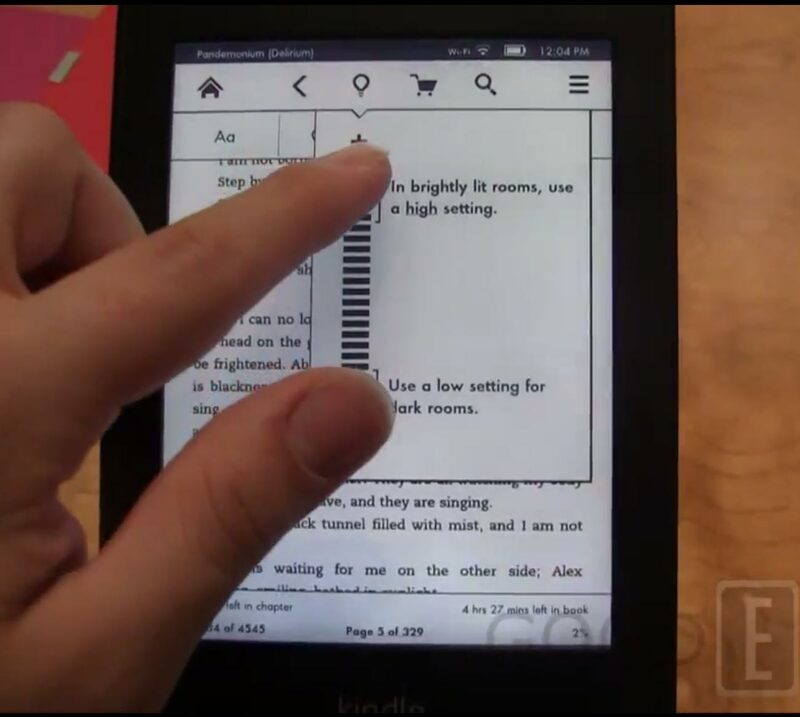 The new Kindle Fires will have ads on the lock screen and home screen. This applies to US and UK. And like I wrote below (in the post updated several times), I think it borders on the disingenuous that they promote the new low prices without mentioning that they are subsidized by advertising. I have to say though, re the "Paperwhite" model, I am getting impressed by the front-lighting technology. 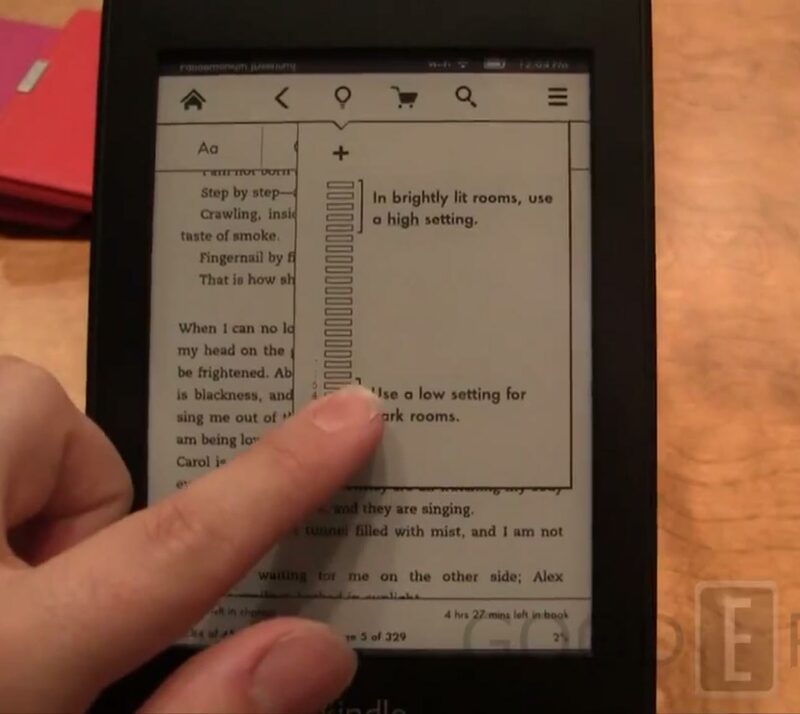 It may be what non-backlit e-reading devices have been waiting for. It turns out that only four LEDs are lighting that whole screen, totally evenly. Very complex and delicately tuned technology it seems. See the full Bezos presentation. Sadly it seems that the new e-ink Kindles don't have any audio output (see "compare Kindles" low on linked page), neither speakers nor headphone plugs. That is a great pity, text-to-speech is important, even more so to sigh-impaired people. And what with the newly highly-touted audiobook/textbook syncing? That's only for the Fire models? That sounds too dumb to be true. I took a look at the Kindle Fire for UK, since the movies and films are the main attraction on it, especially the free ones which come with our Prime membership. ... Oh, I'm sorry, their memberships, because it seems we still don't get such a service in this country. So I'm honestly not really sure what important things buying a Kindle Fire would bring me that I can't already get on Nexus 7 or iPad. OK, it sounds like the speakers are better than the one on my iPad. But I already have my iPad connected over wifi to my Harman Kardon Soundsticks II, nothing portable beats that sound. I do hope you are right. Nice product, crap marketing? For an extra $15, you can now opt out of ads. Yeah it seems they were hesitant to do so at first. After some customer grumbling, they capitulated. Great blog. Or maybe to serve my own obsessions. Either. "Eolake's musings about the world of ereaders/tablets are bolstered by his enthusiasm for well-designed technology and his insatiable search for hardware and software that improves the experience of interacting with a text." "If you haven't checked out Eolake's blog eReaderJoy, I urge you to do so. It's a reliable source of original and thoughtful information about tablets and ereading devices." Born in Denmark, living currently in England. I write about creativity and communication and technology which supports those. And about spirituality/metaphysics. "Why eBooks won’t rule the Earth"
More freebies for the Americans, yoohoo!